Join us online for our 2018 Annual General Meeting! All members are welcome. 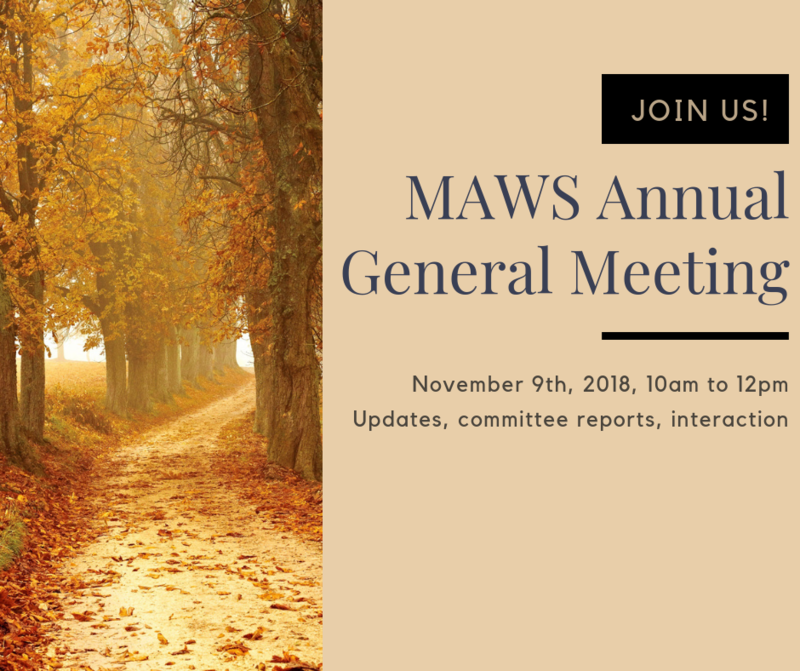 This is the time to hear important updates from MAWS leadership and reports from committees about their accomplishments in 2018 and goals for 2019. Login info will be emailed when you register. If you can't join us live, don't worry! We will record this event and make it available for you to view at your convenience. MAWS is a 501(c)6 non-profit organization.